Elevate your stay with the upgraded King Efficiency, our most spacious room which features a luxurious king bed with a pillow top mattress, a queen-sized sofa bed, and a full kitchenette. Allow yourself to become enveloped in the Kennebunk lifestyle, since life on the coast means never being too serious. It’s more fun to stay with friends and family when everyone sleeps well. 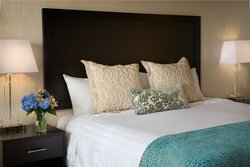 Our King Efficiency Room is ideal for traveling groups of 4 and there’s more than enough plush pillows and luxury linens to go around. 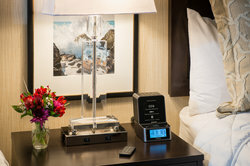 High-speed Wi-Fi permeates throughout the Port Inn Kennebunk so you’ll stay connected no matter where you wander, and each room includes a high-definition TV for movie nights. 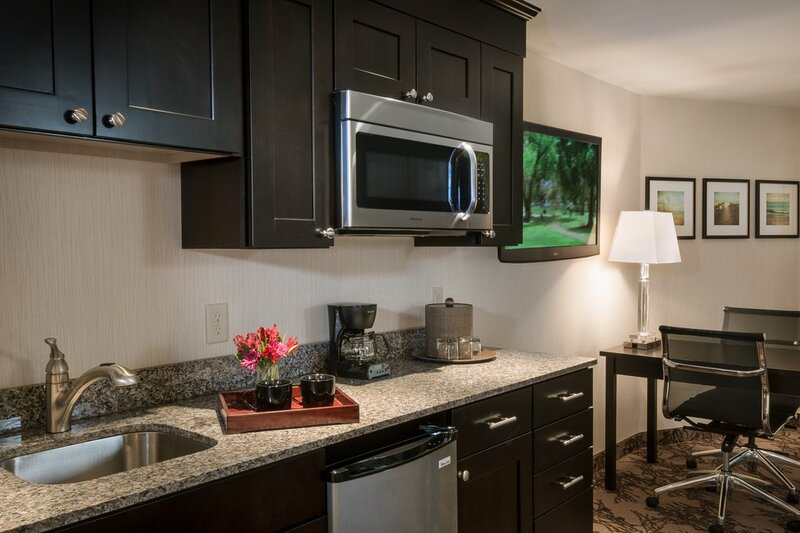 It’s never been simpler to prepare meals while you’re traveling, as the kitchenette includes a two-burner stove, mini-fridge, convection oven, dishwasher, and dish sets for 4. Of course, included in your stay is a delicious and locally-sourced continental breakfast so you can start your morning off without dishes to wash.
During the day, lounge by the lobby fireplace or on the outdoor Adirondack chairs by the saltwater pool to spend some quality time together outside of your room. 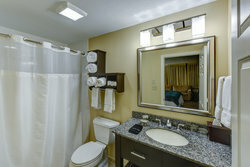 Settle in to your new home away from home. 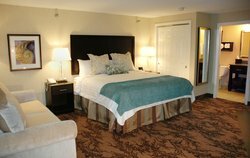 Our King Efficiency Room in Kennebunk, Maine awaits!